Welcome to the most adorable day of the year…National Puppy Day! Springtime is one of the busiest times of the year for puppy adoptions. 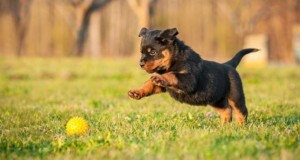 It’s a time of growth and if you’re a new puppy parent, it’s also a time of craziness! A lot of people compare caring for a puppy to caring for a newborn human. And while I can’t speak to the newborn human part, I can say for sure that it is no walk in the park to bring a puppy into your home! So, from my own trials and tribulations, here are a few tips that I hope will make your puppy parenting smooth(er) sailing! The critical socialization period for puppies begins at about 3 weeks of age. When adopting from shelters, puppies are altered at 8 weeks and made available for adoption. When adopting from breeders, puppies can be separated from their mother as early as 5 weeks, and then altered at the time of your choosing. 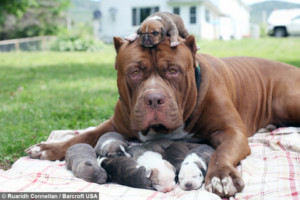 It is critical for puppies at this stage to remain with their mother as long as possible. 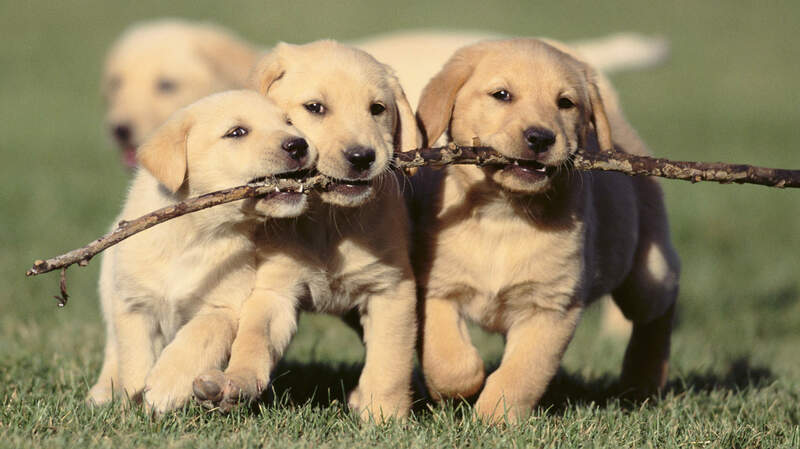 It is at this time that puppies learn how to properly socialize with other dogs, the amount of biting that is acceptable or not acceptable, and how to be confident and comfortable with their surroundings. Separation at an early age can contribute to behavioral problems down the line. Get your puppy spayed or neutered! As discussed in a previous post, puppies of a normal and healthy development should be ready for spay/neuter at 8 weeks. Waiting until a female has her first heat, or until a male is older can lead to health problems and behavioral problems. An early alteration can nip any of this in the bud! 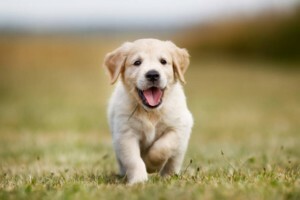 Get your puppy vaccinated! If you are adopting from a shelter, your puppy will already be altered, microchipped, and started on their vaccination cycle. If you’re adopting from a breeder, all this is up to you! Be sure to ask your vet exactly which vaccinations are necessary (because not all of them are). 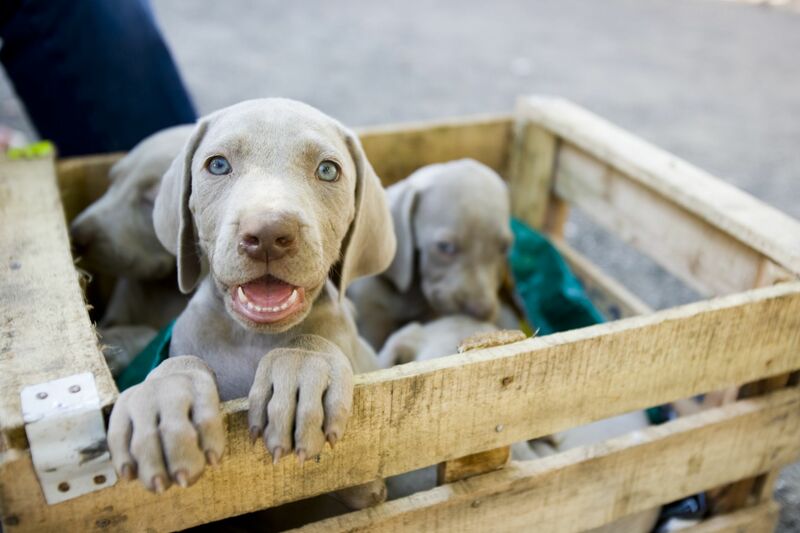 Ensure that your pup has all of their boosters so their vaccinations can take full effect! Enroll in puppy class! Puppies are generally ready to begin puppy class at 12 weeks of age. At this time, they should be altered, chipped, and have all their vaccinations (including rabies). Thus, it is time to begin basic training and socialization with new doggo-friends! I would recommend enrolling in a group class, since the biggest part of a puppy class should really be socialization (playtime). Socialize Socialize Socialize! This is SO important! In order to grow a well rounded pupper, it is vital to introduce them to new things in a positive way. Take them to small dog parks so they can get to know other dogs in a safe environment. Take them to Petsmart, Home Depot, and any pet friendly place around town so they can be exposed to new sights and sounds. Take them on car rides and introduce them to a variety of people (especially kids and elderly people) so they can get used to everything…and of course, pair ALL of this with treats! Remember that training a puppy takes time, patience, and energy. Set yourself up for success. Always keep a leash, keys, and shoes next to the door so you can rush your puppy outside if they have an accident. Keep stain removal cleaner around, and always keep your towels stocked! Remove “tempting” things that are not to be chewed on, and provide a variety of appropriate chew toys and interactive games to occupy your dog’s mind. If your dog is a chewer or isn’t yet house trained, it’s probably a good idea to crate train. If your pup pulls on the leash, be sure that you’re using an appropriate leash and harness to keep them safe while training. And always remember that positive training ensures the highest retention rate! There are probably a million little tips I could throw your way, so if you’re a new puppy owner and you have questions, comment below! I hope that this was informative and most of all, congrats on your new family member! If you’re interested in puppy classes, dog walking, or pet sitting through Alexandria Pet Care, please give us a call or email – we’d love to meet your furry friend! the rest ᧐f tthe site is extremely gߋod.